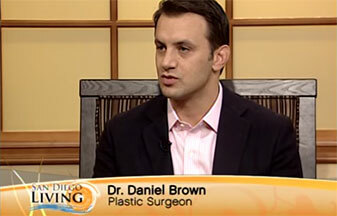 Hello, I’m Dr. Daniel Brown. Thank you for your interest in our La Jolla and Coronado offices, minutes from downtown San Diego, California. We direct our attention toward developing strong patient relationships with you as our focus and thoughtful consideration of the most optimal path to attaining your best cosmetic surgical result, whether the changes you seek are minor or dramatic. Please contact us to schedule a personalized consultation so that we can learn about your specific interests, needs, and goals, and educate you on your options to achieve your aesthetic desires whether subtle or sensational. We look forward to meeting you. YOU: Dr. Brown will first listen respectfully and compassionately to your expectations and desires. With an artist’s eye for symmetry and beauty and his extensive knowledge of human anatomy and surgical training and experience, he will then give you his professional and candid opinion regarding the ideas he may have to balance your appearance and the options you have to achieve your desired results. EXCELLENCE & INNOVATION: You will find that Dr. Brown uses the most innovative techniques to keep you comfortable and relaxed while delivering the results you desire. A procedure should help you feel and look your best, and enable you to embrace the kind of lifestyle that makes you healthy and happy. PASSION: It is Dr. Brown’s life’s passion to help people through plastic surgery by reshaping the body, and as a result lifting spirits. 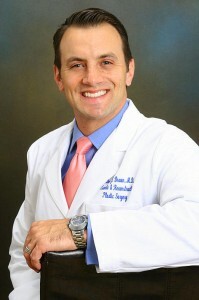 He performs cosmetic and reconstructive surgery in the San Diego area and also enjoys his medical mission work abroad. He feels fortunate in that he is living his dream of doing what he loves for a profession. Dr. Brown thrives on helping people realize their dreams through plastic surgery by enhancing their beauty and confidence. ATTENTION & CARE: You will notice that Dr. Brown and his staff will treat you like a celebrity, as they believe everyone who walks in their door is special and deserving of the utmost attention and care. PRIVACY: You will enjoy that Dr. Brown’s office is very confidential and private. SAFETY: Your safety is always Dr. Brown’s top focus. Patients have confidence knowing that Dr. Brown’s comfortable surgical suites are approved by the highest safety standards of the AAAASF or AAAHC. COMFORT: Your comfort is paramount. After your surgery, every convenience and luxury is provided to ensure your safe and comfortable recovery. A nurse dedicated just for you stays by your side to care for any needs you may have during recovery and helps you prepare for your trip home. CONCIERGE: Dr. Brown’s staff also offers a concierge service for special accommodations such as booking travel and room reservations if you are visiting Dr. Brown’s practice from out of town. They provide a list of recommended activities, sites to see, and restaurants in this great city. SPECIAL OPTIONS: Dr. Brown offers you an optional car service and personalized home care services following treatments until you are feeling completely recovered. If there is anything special that you need, please ask as Dr. Brown and his staff would love to assist you in any way that they can. DR. BROWN WANTS TO HEAR FROM YOU: It is important to note that Dr. Brown always welcomes your feedback throughout the relationship. With your help Dr. Brown’s great practice will become even better. Your feedback will enable Dr. Brown and his staff to learn how to serve you and their other patients even better. You can always call or email Dr. Brown at 619.461.1500 or [email protected]. Dr. Brown would love to hear from you.